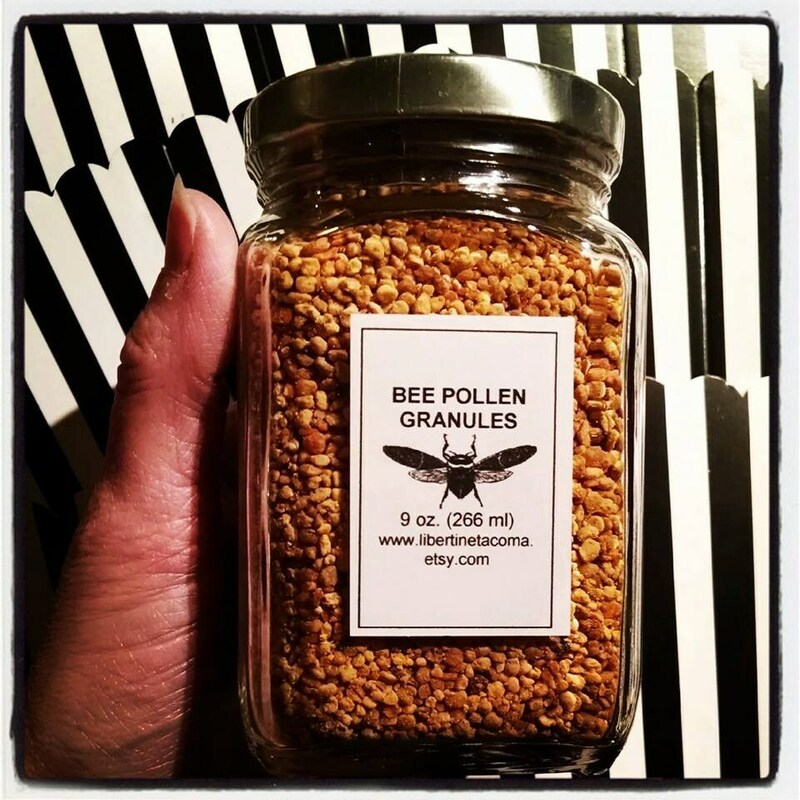 Bee Pollen Granules have a flowery slightly sweet and unique flavor. They are considered to be nature’s most complete food. Containing amino acids, rich in vitamins, protein and minerals. 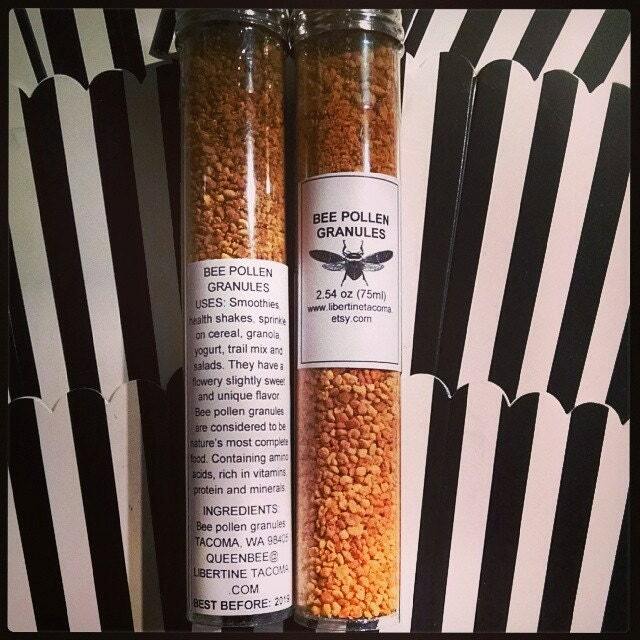 They are said to help ease the symptoms of pollen allergies. Use in smoothies, health shakes, sprinkle on cereal, granola, yogurt, trail mix and salads. Can also be sprinkled on top of desserts. 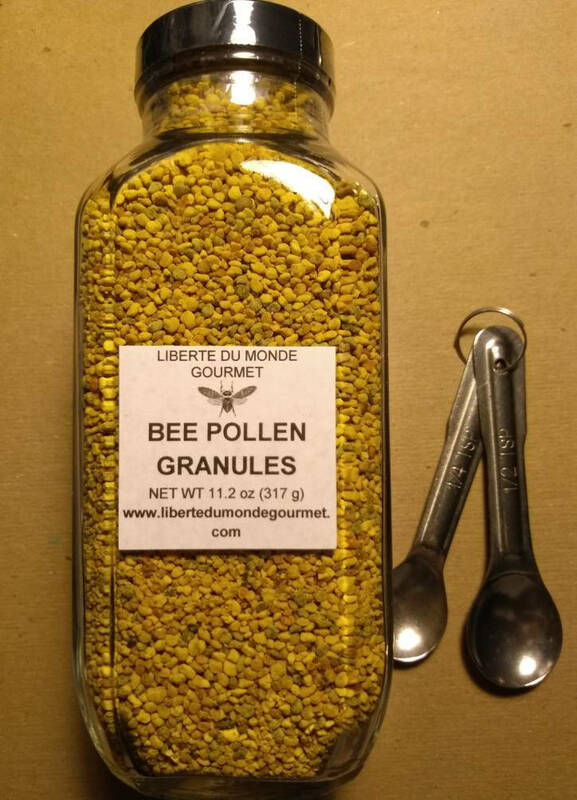 If you are curious to try Bee Pollen Granules to help with your allergies, start with a small amount, 1/4 of a teaspoon a day for 2 days and test to see if you have any sort of adverse reaction. If you do not have a reaction, enjoy up to a tablespoon a day. Pictured in this listing are the 16oz by volume glass jar, 9oz by volume glass jar and the 2.54oz by volume plastic vial. The listing that state, by volume, are packaged by volume and weights vary. The listings that are refills, are simply that, resealable bags that are filled by volume of the container you are refilling and the listings that state by weight are packed by weight in resealable bags.